The 2015 Yorktown Freedom Run 8K held on Memorial Day morning, Monday, May 25, 2015 on the Tour Roads on the historic Yorktown Battlefield in Yorktown, VA. The 8K race course is the same as the one that is used for the Yorktown Independence Day 8K, but was run in the opposite direction, starting near Surrender Field, out onto Surrender Road turning left onto a section of trails that link up with the Yorktown Battlefield Tour Roads and then loop back past George Washington’s Headquarters, finishing at the Route 17 Tour Road underpass. While the 8K is accurately measured, due to construction, a small section of the tour roads followed an alternate route, so the total distance run was just short of 8K. The 8K course is not USATF certified. 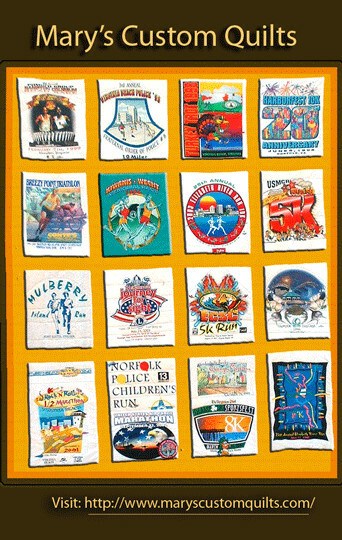 163 runners entered the new 8K distance with 155 runners completing the 8K. Prize money was awarded to the top 3 eligible runners overall ($100, $50, $25), and top 3 masters runners (aged 40+) ($100, $50, $25). The race itself was conducted and results were generated by the Peninsula Track Club. 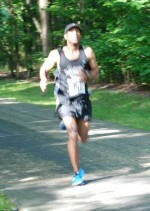 Conditions at race time were sunny but cool with temperatures around 70. 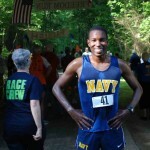 The Yorktown Freedom Run Memorial Day 8K is also the fifth race in the 12-race Peninsula Track Club Grand Prix. The field was slightly smaller then previous years perhaps due to the longer distance or change of venue. But it was no less fast. For the men, first overall was Will Christian, 31 of Norfolk in a time of 25:29 (5:08 pace) followed by Adam Otstot, 33 of Williamsburg in 25:43. Third male overall was John Piggott, 50 of Williamsburg who was awarded 1st Master due to the prize money differential ($100 for 1st Master versus $25 for 3rd Overall). Similarly the 4th Male was master runner Douglas Marshall, 41 of Mathews followed by 5th Male, Gregory Dawson, 49 of Williamsburg who won $50 and $25 respectively. 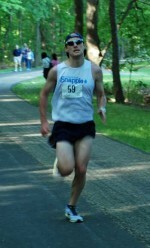 6th Male, Ryan Doupe, 29 of Newport News was then awarded 3rd Overall place with a payout of $25. Similarly for the women, the top 6 Women took the top Overall and Masters categories with placement based on the monetary award. 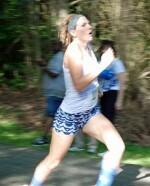 Jessica Riggs, 38 of Surry was first women in a time of 32:49 (6:36 pace). Second woman was 1st Master Woman Karla Havens, 53 of Plainview, VA. 3rd Woman was Arlyne Spalla Benson, 45 of Yorktown who took home $50 as 2nd Overall with a time of 35:01. Eva Maria Backman, 46 of Williamsburg was the 4th woman and became the 2nd Master (37:03) with Emily Honeycutt, 24 of Williamsburg rounding out the Top Women Overall (37:36) and Susan Hagel, 42 of Norfolk as 3rd Master Woman with a time of 38:28. 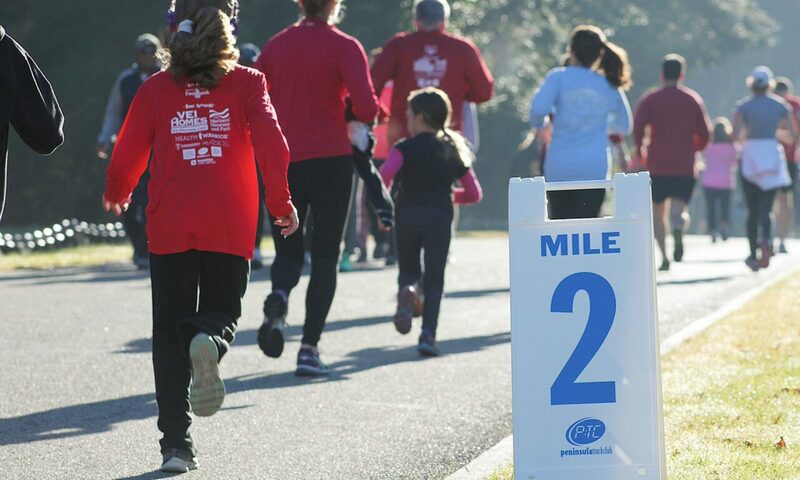 Mon., May 25 – 8 a.m.
Yorktown Freedom Run on Memorial Day has been moved from Grafton High School to York High School and will be an 8K rather than a 5K. 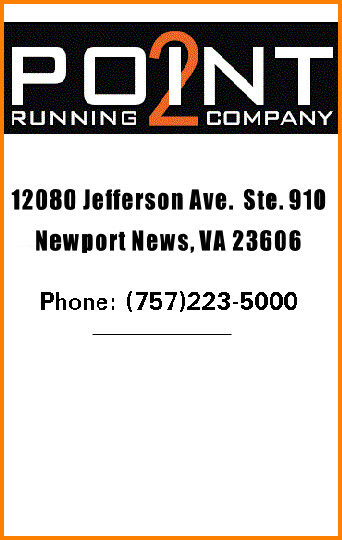 The course will follow the Yorktown Independence Day 8K course, only backwards, starting near the Surrender Field parking and finishing at the bridge.